Our flexible and scalable solutions help Financial Service providers improve client retention, profitability and corporate agility. Union solutions can be used standalone or combined to create full front-to-back infrastructure. Client Engagement tools that provide a quality, consistent service through all channels and make it easy for clients to understand and purchase your offer. Credit Score in real-time using multiple data sources to ensure accurate measures of client debt capacity and credit quality. Deliver the right product at the right price and ensure compliance. Efficient management of client records, messaging, transactions, reporting, accounting and other back office tasks. As a universal solution you can deliver through any channel in any country whilst having centralised reporting and control. Client centric structure makes it easy to identify client relations, data and profitability. 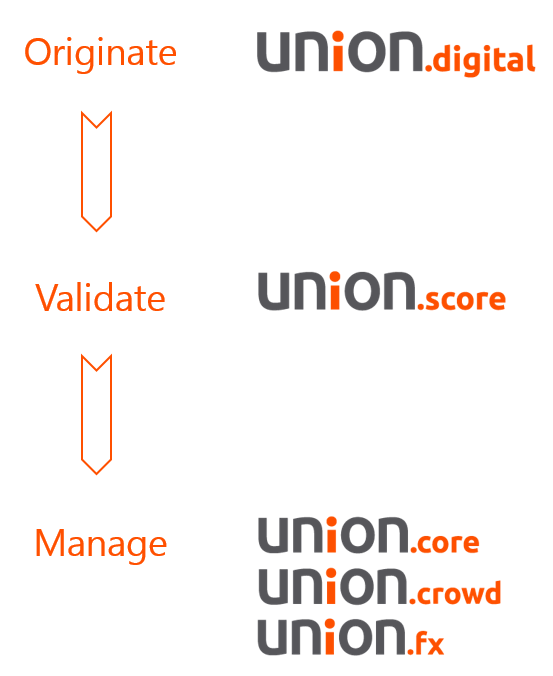 Union.core is customised for financial service providers including banks, credit unions and consumer finance. 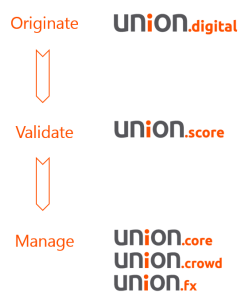 Union.crowd allows Crowd/P2P providers to manage debt and equity marketplaces in real-time. Union.fx is a specialist solution including market data feeds for FX brokers.